The Santa Fe Farmers Market Pavilion is a delightful stop during your Santa Fe daytrip, while a guest at Casa Escondida Bed & Breakfast. Casa Escondida B&B is a Santa Fe area B&B this is located in historic Chimayo, NM (just 35 minutes north of Santa Fe, on the High Road). The Santa Fe Farmers Market Pavilion (located in the Railyard District) hosts two Santa Fe events, every weekend, year-round! 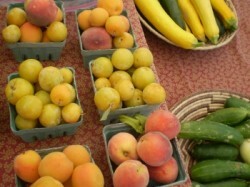 On Saturdays, the Santa Fe Farmers Market opens at 8 AM and runs until 1 PM. You will love the fresh, locally-grown fruits and vegetables. You can also find quality meats, dairy, eggs, flowers, dried foods, superb baked goods, jams, honeys, body care products, herbal products and original crafts. 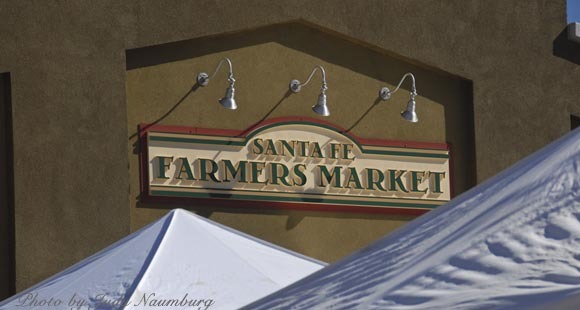 The Santa Fe Farmers Market assures that all of the products that are sold by its vendors are locally grown by the people that are selling them and that 100% of the vegetables, fruits, and nursery plants are grown right here in northern New Mexico. The farmers market adds an additional day of operations on Tuesdays, during the warmer months of May – November. If you visit the Santa Fe Farmers Market Pavilion on a Sunday, you can enjoy the music as you stroll about and visit with many of New Mexico’s artists and craftspeople. 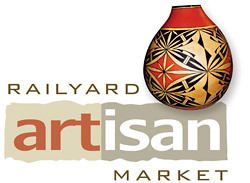 This is the Railyard Artisan Market! From 10 AM – 4 PM, artists will be selling their goods (pottery, paintings, jewelry, sculpture, fiber arts, photography, hand-blown glass, artisanal teas, handmade herbal body products, etc). You are sure to find something beautiful and unique. Both the Santa Fe Farmers Market and the Railyard Artesian Market are favorites of the locals too. Oh….be sure to visit “The Flea” during your stop at the Santa Fe Farmers Market Pavilion. During the winter months, The Flea is housed inside at El Museo Cultural (just behind the pavilion). The Flea is considered by many to be Santa Fe’s finest flea market (antiques, arts & crafts, cowboy and ethnographic, textiles, jewelry, yard-sale treasures, vintage clothing, furniture, etc). The Flea is FREE. Visit The Flea on Saturdays from 8 AM – 3 PM and on Sundays from 9 AM – 3 PM. Like the Santa Fe Farmers Market Pavilion, Casa Escondida Bed & Breakfast is open year-round. We have wonderful guest rooms available. We are a pet-friendly B&B. We look forward to having you as our guest.